From Norway to the Netherlands. Board the Dutch Tall Ship Bark Europa in Fredrikstad, Norway, and sail the vessel back to her home country. Be part of a trainee-crew, working in shifts alongside the professional sailors. Learn to set and trim the sails, keep lookout, steer the large Ship and navigate your way along the sea. 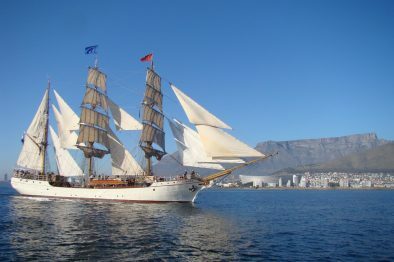 If you want, you will also have the possibility to climb the masts and work with sails high above the deck. Who knows, maybe you will even see the dolphins, playing around the Ship? Either way, you will go home with great memories and proper sea-legs! Open for all nationalities, minimum age 15 years. Places in 2-person cabins no longer available. 100 km south of Oslo, Fredrikstad is a coastal town, on the East side of the Oslofjord. 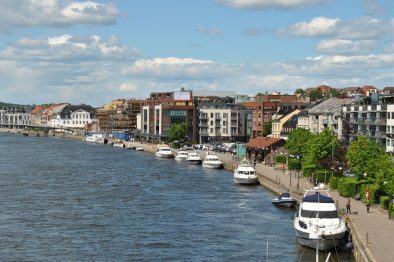 Fredrikstad has a mix of old and new – The ‘Gamlebyen’ Old Town is a well-preserved star fort, across the water from the modern waterfront. Visitors can also visit the 16th-century Kongsten fort, or Scandinavia’s largest model railway. Fredrikstad will be a host port for the Tall Ship Races 2019. With more bicycles than people, cycling is an integral part of Amsterdam’s DNA. Hop on and see the city like the locals do! Winding waterways, idyllic bridges and historic buildings – one of the most memorable ways to truly see Amsterdam is from the canals. 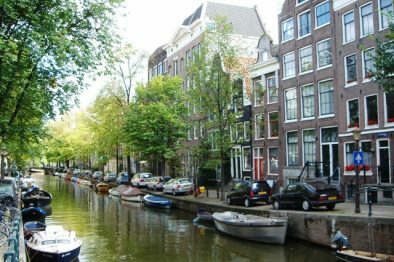 Amsterdam has a full cultural agenda showcasing the very best festivals, nightlife, exhibitions & events, plus there is enough practical tourist info, hotel, museum, excursion & attraction listings, you won’t miss a thing! "The best moment was when we crossed the finish line and everybody celebrated together. The tone was simply unforgettable!" "The nicest moment was arriving to Cadiz, when we sat on the mast with the entire team, wearing our team shirts and singing loudly to let people know we're coming."